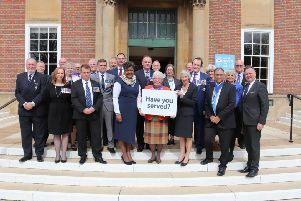 A change in incumbent Sue Mullins’ personal circumstances made it difficult for her to continue as a county councillor given the significant travelling required from Crawley to Chichester. She therefore decided to step down as a West Sussex county councillor, but is standing as a Labour candidate in the CBC elections due to be held on Thursday May 2. A by-election for the WSCC Northgate and West Green division will be held on the same day. The candidates are: David Anderson (Liberal Democrats), Richard Kail (Green Party), Karen Sudan (Labour) and Jan Tarrant (Conservatives).